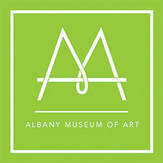 ​Join the Albany Museum of Art. Become a member of the largest and most exciting fine arts organization in the region! Through your membership, you inspire the love of art in every visitor who walks into the lobby of the Albany Museum of Art. We invite you to visit the museum as often as you like, with free admission. Explore our galleries of artworks which are committed to showcasing all genre, medium, culture and works from local, regional and national importance. Enjoy special members’ previews of all exhibitions and free or reduced admission to special events. Take advantage of a special member discount on original works of art by regional artists, hand crafted jewelry, pottery, art books and gifts in the Hodges Sales Gallery. Members also receive a complimentary subscription to AMAQuarterly, the museum’s member magazine that is printed four times per year with additional web exclusive content. This membership is available for sign up at the museum only. Please bring a valid student ID. Thank you for your cooperation. Join online or, download the membership form and mail it in with check or credit card, or call or email Chloe Hinton today! Need to check your membership due date? Contact Chloe Hinton at 229.439.8400.